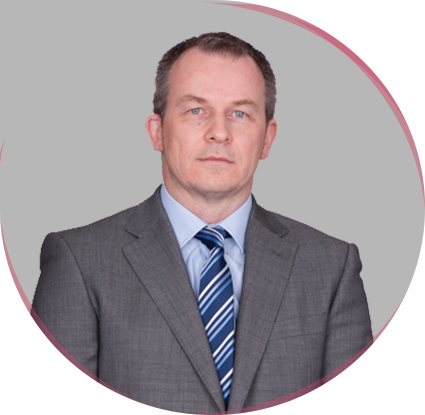 Hodgkinsons’ Personal Injury Department is led by Senior Director, Steve Hill. Through exceptional attention to detail, excellent client care skills and his ability to evaluate the strengths and weaknesses of a case, Steve is able to effectively deal with complex Personal Injury claims. These attributes often result in cases being passed onto Steve when he is asked to take them over from other Solicitors who have not been successful. Steve has also developed a niche specialism representing victims with chronic pain conditions including Chronic Regional Pain Syndrome and Fibromyalgia. Representing a child hit by a passing car causing a traumatic brain injury. Despite being rejected by 3 other solicitors, Steve secured compensation in excess of £1.5 million. Representing a school child who suffered significant thermal burn injuries resulting in the loss of all the digits on her left hand and the thumb, ring and little fingers on her right hand. A settlement of over £840,000 was achieved. Representing an employee who suffered a fractured foot causing the development of chronic regional pain syndrome (type 2) and resulted in a settlement of £760,000.